This job was really fun. 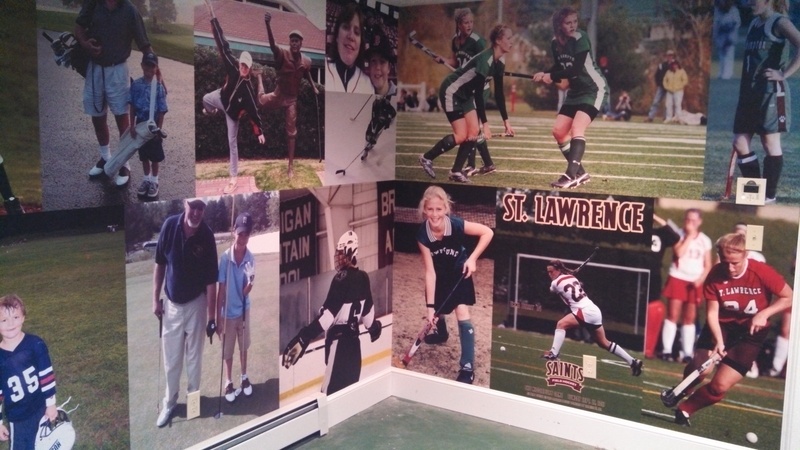 Our customer had about 20 family photos that he wanted to turn into a photo collage to decorate the walls of an exercise room. We scanned the older physical photos, and arranged them in Photoshop along with a number of newer digital photos he had. Once we had everything sized to the walls, we output the custom wallpaper in roughly 42″ wide strips for application, which took an installer about 4 hours. When it was all done, what a transformation of four white walls! This entry was posted in Custom Printed Wallpaper and tagged custom printed wallpaper, photo collage, wall murals, wallpaper collage. Bookmark the permalink.